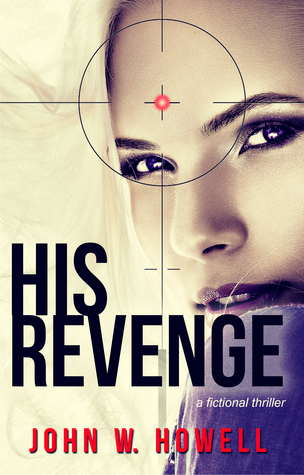 His Revenge (John Cannon #2) by John W Howell was an enjoyable thriller that held my attention from beginning to end. In the equally-riveting book one, My Grl, lawyer John Cannon gained recognition as a national hero by foiling a terrorist plot. Now in book two, John faces the consequences of his actions. The terrorists try to eliminate him for what he did and then use his status to further their agenda. Howell writes with a very concise, matter-of-fact style. The prose and dialog are short and to the point, yet the author takes the time to thoroughly explain the reasoning behind what's happening. This approach makes for a very quick, easy, and satisfying read. That said, Howell will occasionally devote too much page space to minutia. For example, I don't need to know the step-by-step details of the main character's shower and bathroom routine. But I'll gladly skim over a few irrelevant side notes in exchange for comprehensive treatment of the important parts of the story. While I'm not convinced that the events and character motivations would likely play out in real life as they did in the novel, I think things could've happened that way. Most impressive to me was how Howell took the time to have Cannon reason out every event and plan. If the terrorists took some action against him, he thought, "Well, this was probably why." And if Cannon intended to do something to foil the bad guys, he thought, "Here's why my idea may or may not work." In other words, the causes and effects were treated expertly. Even though I may still question the validity of some of the explanations, I appreciate that Howell provided those explanations. The author clearly put a lot of thought into the plot and story. Howell challenges himself by essentially writing from the perspective of a blind person, given that Cannon has lost his sight in the first few chapters. The author pulls this off convincingly. My only criticism was that the explanations sometimes got a little too over-detailed. At a certain point, I'd think to myself, "Okay, I get the idea," but the explanations would still go on for sentences or paragraphs. The tension/conflict is slow to build in the beginning, but when it finally ramps up, it hits hard. Cannon's attempt to survive the hitmen in the first part of the story with the help of US military forces is a wild ride. In the second part of the story, Howell foregoes the action and instead builds the tension through the no-win situation of Cannon's captivity. A handful of minor things bugged me. Cannon is little too brash and confident for someone who's life is in serious jeopardy. His attitude definitely killed some of the tension. If I were the antagonists, I would've beaten him into submission to adjust his attitude. For that matter, the antagonists are awfully accommodating, serving him coffee, bringing him to expensive dinners attended by important people, and putting him up in fancy hotel rooms. Why were the two ladies in the story so drawn to him? The motivations behind one of the two women's attractions toward him were explained but not the other. And Cannon's time with the antagonists started to drag on and become redundant, following a pattern of dinner/event, transportation, hotel room, and repeat. Lastly, the final resolution, while satisfying, came together perhaps a little too conveniently. At the time of this review posting, I've begun the third book, Our Justice. I'll note that I don't read subsequent books in a series very often.